Rocky Mountain River Tours is stoked to offer America’s Premier Rafting Vacation. Imagine 6-days and 185 miles of the best whitewater and alpine scenery in the world. This trip includes 1-night at a riverside lodge and scenic flight back to Stanley. Rocky’s most popular family adventure. Rocky caters this trip to families with children aged 6-18, resulting in the ultimate family adventure. We adjust menus, bring extra beach games, lots of sunscreen and break out all the toys for the trip. Book Now…this trip sells out quickly! 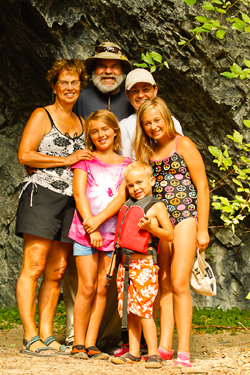 Loyal clients have demanded that we start a family rafting tradition on the Middle Fork. This Early August trip is catered to multi-generational families (age 10+) offering perfect water levels for paddle rafting, inflatable kayaking, fishing and shenanigans. We keep the kids busy, allowing parents and grandparents ample time for relaxing, socializing, fly fishing and enjoying the largest wilderness in the United States. Reserve now! 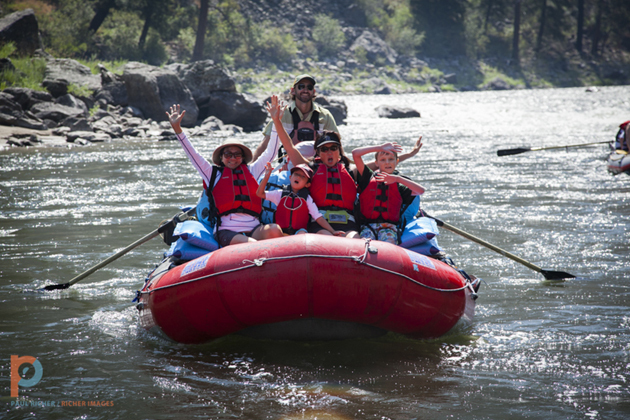 The Middle Fork of the Salmon is the PERFECT multi-generational adventure! Join Rocky and experience the fastest growing watersport in the world, Stand Up Paddle Boarding. 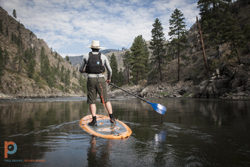 The fun, safe, rolling rapids of the Wild & Scenic Salmon has been identified as the #1 SUP river in America. Great for beginners and advanced paddlers. Not all participants need to SUP, rafts and IK’s available.